Gareth was head of operations for the Homeless FA since he helped found the original organisation in 2011 and continued on to become Chair of the Street Football Association in 2016. Before working for the Homeless FA Gareth spent four years at Shelter as National Campaigns Manager, before working as a freelance Major Project, Campaigns and Events consultant. His clients included Amnesty, Arsenal FC, Bolton Wanderers FC, Centrepoint, Everyman Cinemas, Sunderland AFC, Terrence Higgins Trust and Glastonbury Festival, where he coordinated the John Peel Stage. He also worked closely with Bob Wilson and his charity the Willow Foundation when he managed the hugely successful Bob Wilson Soccer Cycle. Like all Street Football Association staff, Gareth is passionate about football, and played to semi-professional level. He is now an occasional writer on the subject, with his work appearing in many national publications. Gareth is an Arsenal fan. Konrad manages The Street Football Association’s partnerships, with particular focus on coordination of its community of professional clubs, and works with the rest of the team to coordinate delivery of all Training Centre and Street Football Team England programmes. Before working for The Street Football Association Konrad was a Sports Administrator for London Youth Games and a Consultant for Global Sports and Media Management. He is a qualified football coach and has worked all over the world, including a spell as Under 21s Assistant Coach for Goias Esporte Clube in Brazil. Konrad is a Tottenham Hotspur fan. 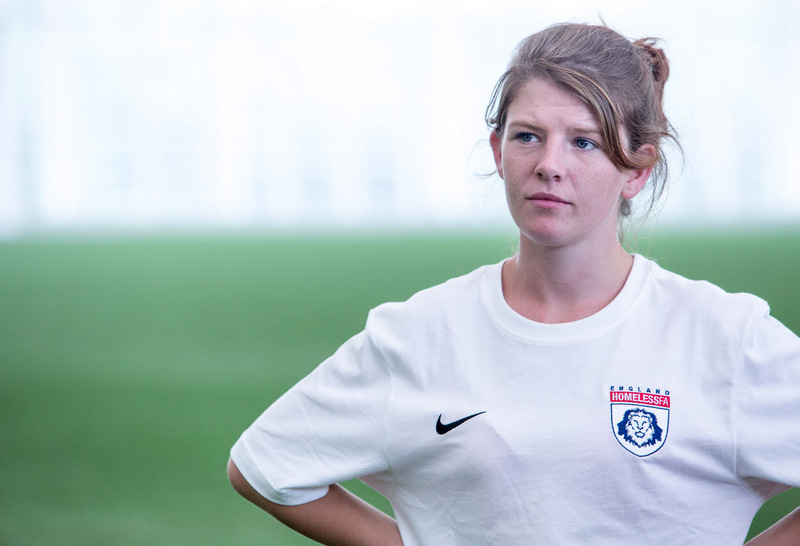 Emily supports all areas of the The Street Football Association’s work and coordinates its Player Progression Programme. Before working for the Homeless FA Emily managed the development and delivery of Centrepoint’s nationally recognised mentoring programme and has six years’ experience of working with young people, volunteers and corporate partners in the charity, education and homelessness sectors.